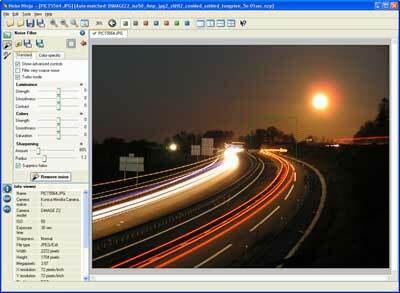 - Arcsoft Video Impression 2 to modify and re-record its vidéos. Dimage Viewer makes it possible to explore the repertories of its computer like a manager of files. 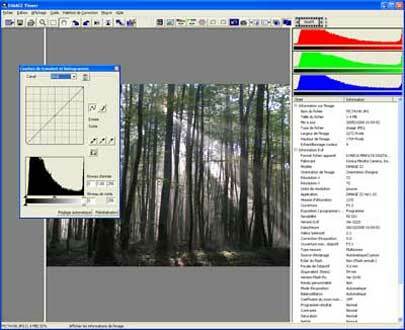 This software also makes it possible to modify a photograph in order to make corrections to him (colors, contrast, saturation, sharpness...), to record a copy, to change the size of the image or saving a portion of an image. Arcsoft VideoImpression 2 Arcsoft makes it possible to carry out assemblies videos starting from videos, of photographs, sounds. It is possible to apply to a sequence various effects (transition, lining its...). 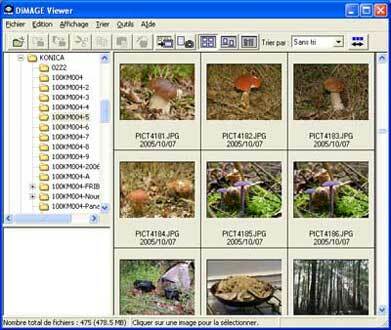 This software then makes it possible to record its assembly in a multitude of format vidéos (AVI, MPEG, FD, MOV...) by using different codecs. 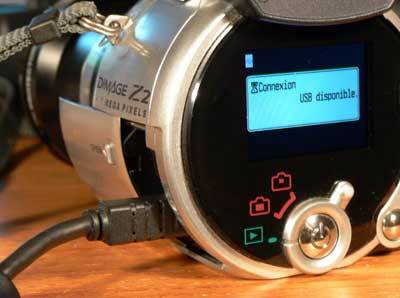 Attention, to install Arcsoft VideoImpression 2, it is necessary to connect Z2 to the computer with catch USB and to start the camera. NoiseNinja removes the numerical noise of the photographs, but it also makes it possible to increase sharpness and also to record the images with a smaller size. Attention, the use of such a software can result in a loss of details, moreover the visible numerical noise on a screen of computer will be it less on one printed photograph.